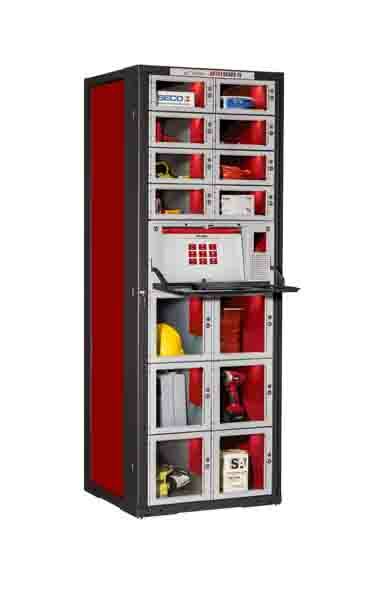 The AutoLocker® FX is the first and only automated locker system on the market designed to be completely modular in every way. This platform lets you build a custom configured locker system for the unique needs of your company. The rack mounted approach allows you to purchase only what you need and configure it to meet your specifications. No need to buy excess lockers and use up valuable floor space. You pick the frame size, controller box, locker size, power (optional), and network switch (optional). 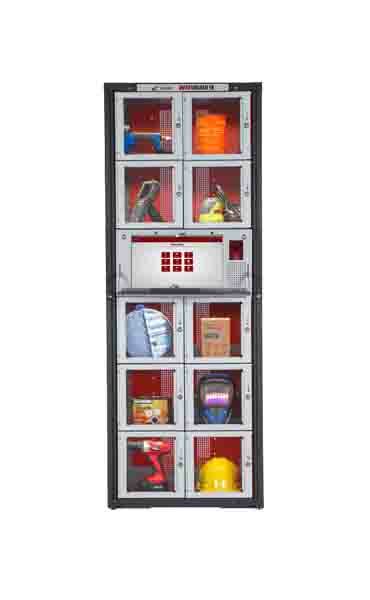 Locker modules are available in 12 different sizes, and come in 6” high increments with a standard 24” depth and a wide variety of widths that can be mixed and matched to provide a customized solution. See-through windows with bright LED lighting allow the user to quickly identify the items they want and then issue it through an intuitive touch-screen user interface. Multistate LED status lights quickly identify which items are out on the floor as well as the status of the items that are inside the lockers. 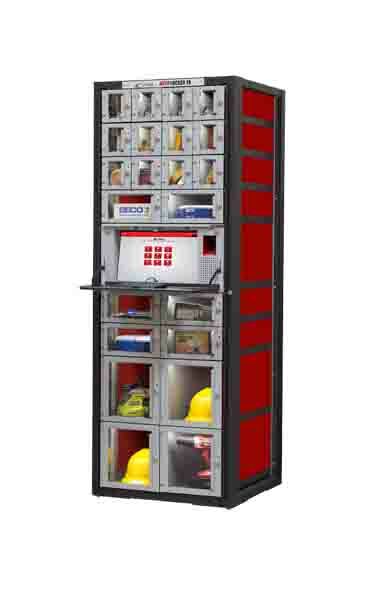 The AutoLocker® FX also provides optional 110v power outlets so that battery operated tools and equipment can be charged while in the locker. The system manages the charge time and always dispenses the item with the longest charge. E-Tools (laptops and iPads) can also be charged while managing virus definitions and operating system updates.